john a. powell is an internationally recognized expert in the areas of civil rights and civil liberties and a wide range of issues including race, structural racism, ethnicity, housing, poverty, and democracy. In addition to being a Professor of Law and Professor of African American Studies and Ethnic Studies, Professor Powell holds the Robert D. Haas Chancellor’s Chair in Equity and Inclusion. He is also the Director of the Haas Institute for a Fair and Inclusive Society, which supports research to generate specific prescriptions for changes in policy and practice that address disparities related to race, ethnicity, gender, sexual orientation, disability, and socioeconomics in California and nationwide. He was recently the Executive Director of the Kirwan Institute for the Study of Race and Ethnicity at The Ohio State University and held the Gregory H. Williams Chair in Civil Rights & Civil Liberties at the Moritz College of Law. Professor powell has written extensively on a number of issues including structural racism, racial justice and regionalism, concentrated poverty and urban sprawl, opportunity based housing, voting rights, affirmative action in the United States, South Africa and Brazil, racial and ethnic identity, spirituality and social justice, and the needs of citizens in a democratic society. 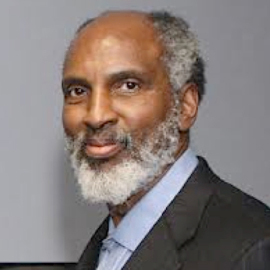 Previously, Professor powell founded and directed the Institute on Race and Poverty at the University of Minnesota. He also served as Director of Legal Services in Miami, Florida and was National Legal Director of the American Civil Liberties Union where he was instrumental in developing educational adequacy theory. Professor powell has worked and lived in Africa, where he was a consultant to the governments of Mozambique and South Africa. He has also lived and worked in India and done work in South America and Europe. He is one of the co-founders of the Poverty & Race Research Action Council and serves on the board of several national organizations. Professor powell has taught at numerous law schools including Harvard and Columbia University. He is the author of several books, including his most recent work, Racing to Justice: Transforming our Concepts of Self and Other to Build an Inclusive Society.